FlyBoys Deluxe Pen Loop has features that make it ideal for any flight or training environment where you need a writing instrument handy. 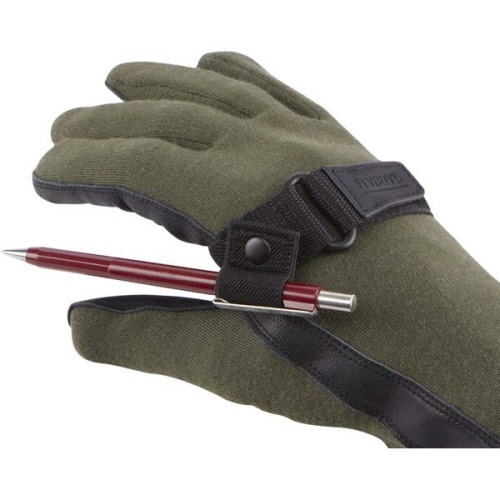 It is adjustable for righties and lefties and the pen loop features an adjustable ''angle of attack'' design that allows you to dial in the perfect angle for your preferred writing instrument and keep it out of the way when you don't want interference. You can also adjust the tension using the hook and loop tab so it fits just as snugly on bare hands as it does over flight gloves. Try it out and see for yourself just how much a simple item like this can improve your flight experience.